Inverness High Street @ High.St - High Street shops and High St businesses. Inverness is Scotland's newest and fastest growing city. It's not hard to see why. Large enough to have everything you need, small enough to be friendly and safe, historic enough to be beautiful. Inverness is the gateway to the Highlands and Islands, some of the most spectacular scenery anywhere in the world and, of course, home to Nessie, the most famous monster in the world! 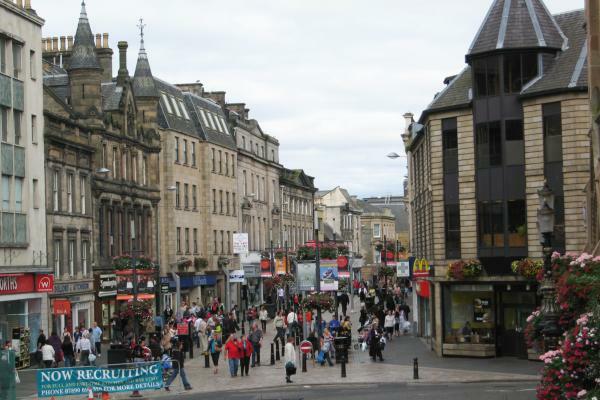 The pedestrianised High Street is always bustling with activity and with its unique blend of small Scottish shops, deservedly attracts visitors from all over the world. The high street is directly linked to the expanded Eastgate Shopping Centre and a myriad of smaller streets. We have listed nearly 500 shops, starting with Church Street, the oldest street in Inverness, Castle Street and Academy Street - all running North to South. Then we list the West to East streets of Queensgate, Union Street, Bridge Street which runs into the High Street and finally into the Eastgate Shopping Centre. Nearby is the historical Culloden Battlefield, the archaeological site at Clava Cairns and the ancient Caledonian Canal. Nearby Cawdor Castle, is a complete 14th Century castle linked to Macbeth by Shakespeare and is still lived in today.